Utilizing a specially made typeface on its new dials, Hermes this year offers an entirely new and slender watch collection called Slim d’Hermès. 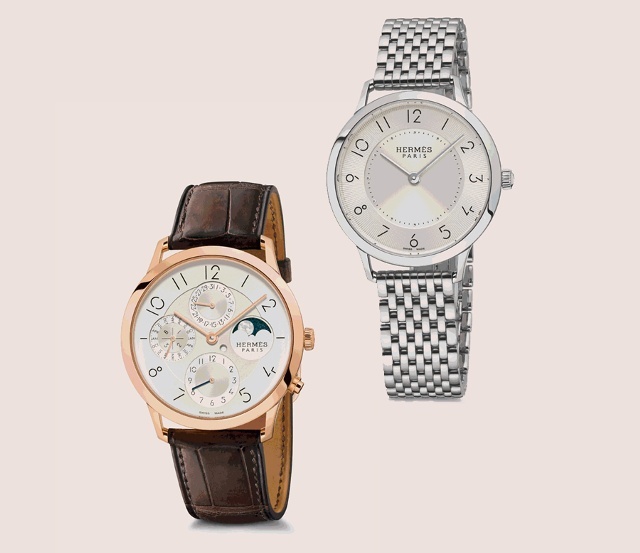 You can call it Hermes distinctive entry into the recently active slim-watch sweepstakes. Topping the multi-watch collection is the new Slim d’Hermès perpetual calendar Slim d’Hermès that is among the thinnest models of its type. It features a Hermès-designed 2.6mm base Vaucher caliber topped with a 1.4mm Agenhor module. 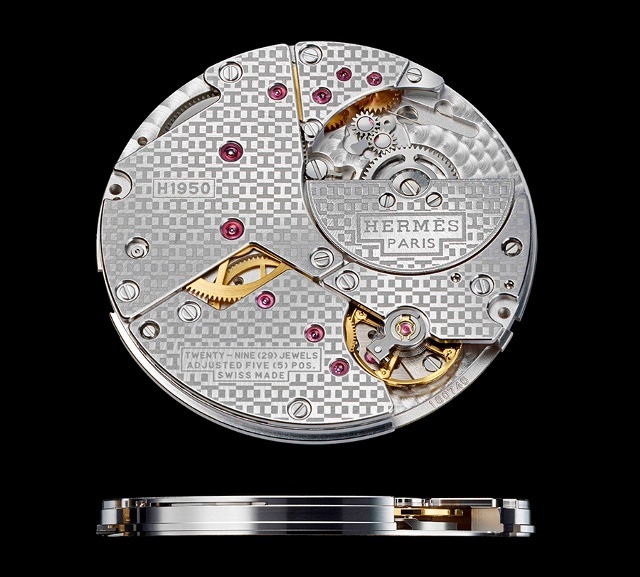 The Manufacture Hermès H1950 ultra-thin movement sports a micro-rotor to power the gold 39.5mm watch. 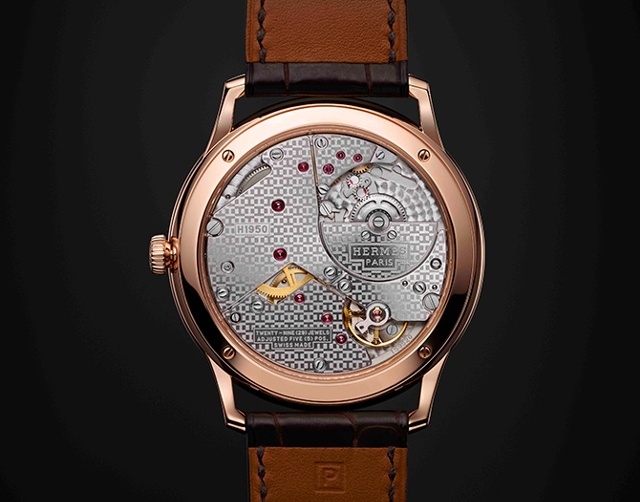 Visible from the caseback, the caliber’s bridges are sprinkled with the brand’s H motif and are hand-beveled. The perpetual calendar features displays for days and months while taking account of leap years, thereby providing a four-year display. The dial’s moon-phase indication is made with natural white mother-of-pearl set against an aventurine glass sky. The dual-time display offers a simple dot to indicate day (white) or night (black). The collection also includes three-hand (small seconds) mechanical models and several smaller sized quartz examples, and all feature the minimalistic and original typographical work of designer Philippe Apeloig. Hermès is offering a rose gold or steel three-hand automatic model using the same 39.5mm case size as the perpetual calendar.